Adult, Solano County © Gary Nafis Specimen courtesy of Brad Schaeffer & Dylan Dietrich-Reed, UC Davis. Adult, Alameda County Juvenile, Solano County. © Melissa Newman Juvenile, Solano County. 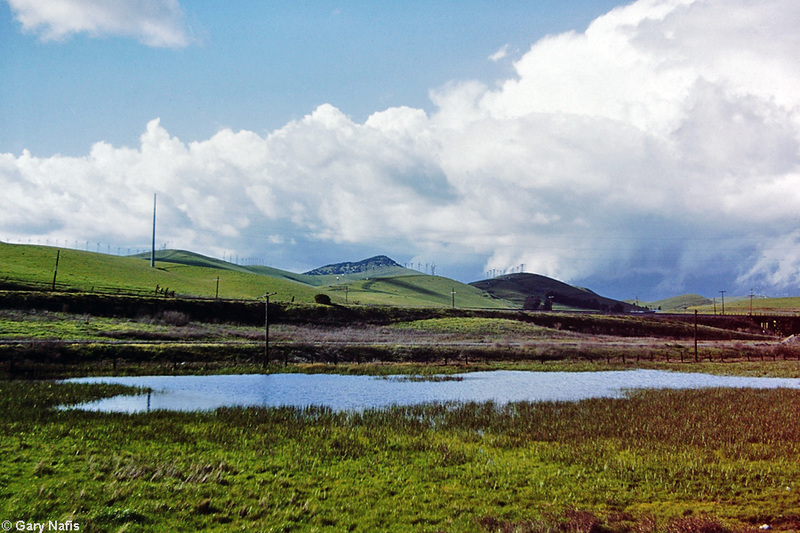 leaving a breeding pond, in Contra Costa County. © Chad Lane Adult, San Joaquin County. Adult, Santa Barbara County. © Gary Nafis. Specimen courtesy of Brad Schaeffer & Dylan Dietrich-Reed, UC Davis. Adult, Santa Barbara County. © Gary Nafis. Specimen courtesy of Brad Schaeffer & Dylan Dietrich-Reed, UC Davis. forum showing the habitat, many larval salamanders, and a recent metamorph, which you can see along with the ensuing discussion here. Monterey County adult hybrid of A. t. mavortium - Barred Tiger Salamander and A. californiense. © Gary Nafis. Specimen courtesy of Brad Schaeffer & Dylan Dietrich-Reed, UC Davis. with California Tiger salamanders in Santa Barbara County which you can see along with the ensuing discussion here. Maturing eggs in breeding pond, January 31st, Contra Costa County © Mark Gary Maturing eggs in breeding pond, February 6th, Contra Costa County. Maturing eggs in breeding pond, February 6th, Contra Costa County. Newly hatched larva, Sonoma County. © Bill Stagnaro Newly hatched larva, Sonoma County. © Bill Stagnaro Mature Larva in water. © Gary Nafis. Specimen courtesy of Brad Schaeffer & Dylan Dietrich-Reed, UC Davis. © Shirley Tudor Pale, possibly albino, larva, Alameda County, seined by Permitted biologists. Larva next to Sierran Treefrog tadpoles for comparison , Alameda County. © Joseph E. DiDonato Light colored larva, Alameda County. This series shows a Diablo Range Gartersnake eating a California Tiger Salamander larva in Contra Costa County. 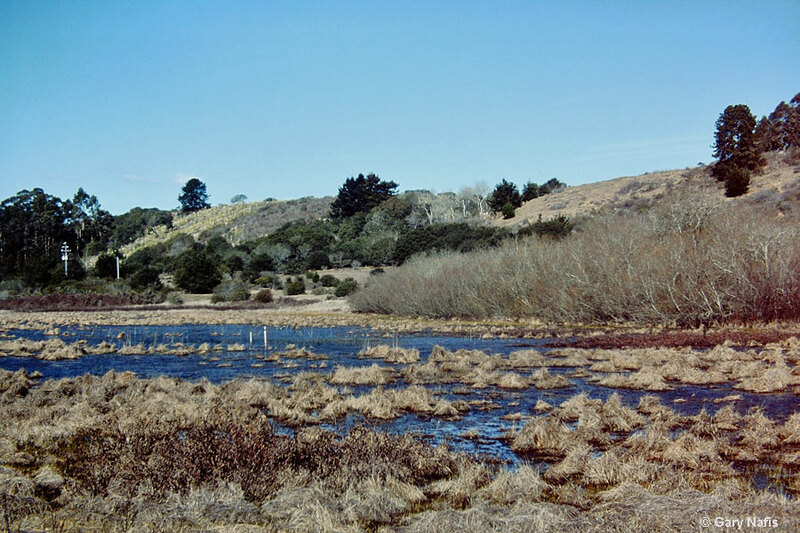 Native prairie with vernal pool breeding habitat in winter, Solano County Historical habitat from museum records that has been developed for agriculture, Santa Barbara County. seen below as it looked in different months of one year, showing how the pond and its surroundings change over the seasons. CA Tiger salamander embryos with gills are visible. Some have already hatched. CA Tiger salamander eggs were laid this year between November 26th and December 3rd. 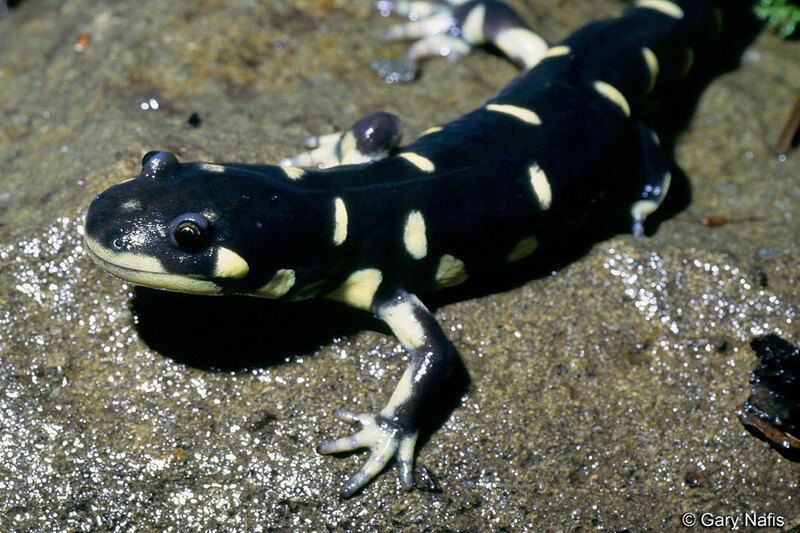 A California Tiger Salamander spends most of its life underground. California Ground Squirrel burrows, such as those seen here, are often a very important part of the habitat of these salamanders. An active population of burrowing ground squirrels (or other burrowing mammals) is necessary to sustain sufficient underground refuge for the salamanders since burrows that are not maintained will collapse within about 18 months. California Tiger Salamander larvae swim around a murky pool in Contra Costa County in June, rising to the surface for a gulp of air or to attempt to eat Sierran Treefrog tadpoles. Fairly young California Tiger Salamander larvae swim around a pool in Contra Costa County in early March. You can see them lunging at food at times. Adults are 3-5 inches (7.6 - 12.7 cm) long from snout-to-vent, 5.9 - 8.5 inches (15-22 cm) total length. A large stout salamander with a short rounded head, blunt snout, small protruberant eyes, no nasolabial grooves, and a tail flattened from side to side to facilitate swimming. Usually has 12 prominent costal grooves. Transformed adults breathe with lungs. Lustrous black with large yellow spots and bars, often not present along the middle of the back. South coast individuals may have few spots and a cream band on the lower sides. - Larvae hatch from eggs laid in water where they swim using an enlarged tail fin and breathe with filamentous external gills. Nocturnal, and fossorial, spending most time underground in animal burrows, especially those of California ground squirrels, valley pocket gophers, and moles. An active population of burrowing mammals is necessary to sustain sufficient underground refuge for the salamanders since burrows that are not maintained will collapse within about 18 months. 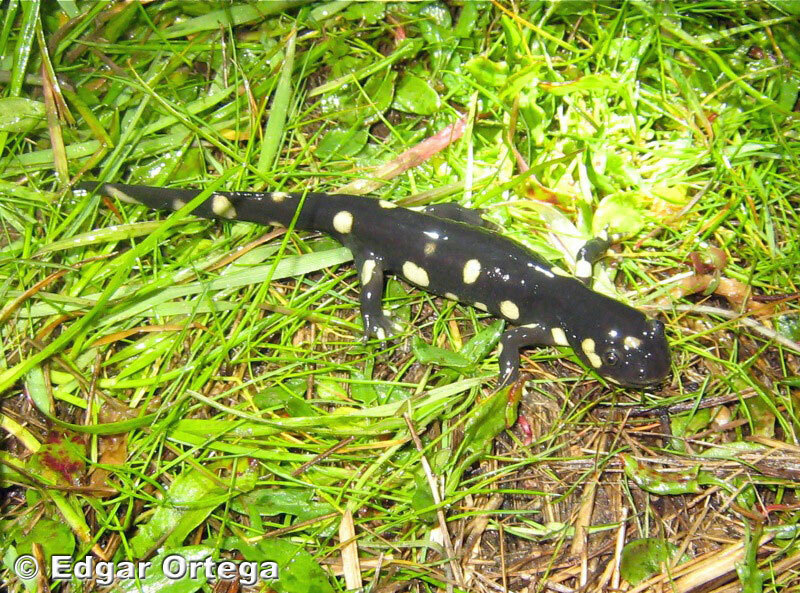 This salamander needs both suitable upland terrestrial habitat with mammal burrows for refuge and temporary breeding ponds in order to survive. Aestivation may occur during the heat of summer, but this salamander does not need to hibernate due to the mild winters that occur in its range. Adults live to at least 11 years of age. Emerges at night with the fall rains sometimes in early November or later depending on precipitation. Larvae are aquatic and very wary, resting motionless on the bottom when not feeding, but swimming for cover when disturbed. Neotenic adults have not been reported, likely due to the ephemeral nature of the larval ponds. Adults probably feed mainly on a variety of invertebrates. Hatchlings feed on zooplankton and older larvae feed on tadpoles (mostly Pseuadcris tadpoles) and aquatic invertebrates. Predators include California Red-legged Frogs, American Bullfrogs, Gartersnakes, Skunks, and Ground Squirrels. Reproduction is aquatic in standing water. Most breeding occurs December through February. Breeding can occur explosively all at once, or it can continue for several months depending on rainfall. Most breeding adults are 4 - 6 years old. Males breed at 2 years of age, females at 2 - 3 years. Adults engage in mass migration during a few rainy nights during the rainy season from November to May and leave the breeding ponds shortly after breeding. During years without sufficient rainfall, migrations and breeding do not occur. Most adults return to their natal pond during their first year of breeding, but a study showed that about 30 percent bred in a different pond. Males arrive at the breeding pond a week or two before the females, and stay about four times longer - an average of 37 - 44.7 days according to two studies, while females averaged stays of 10 - 11.8 days. 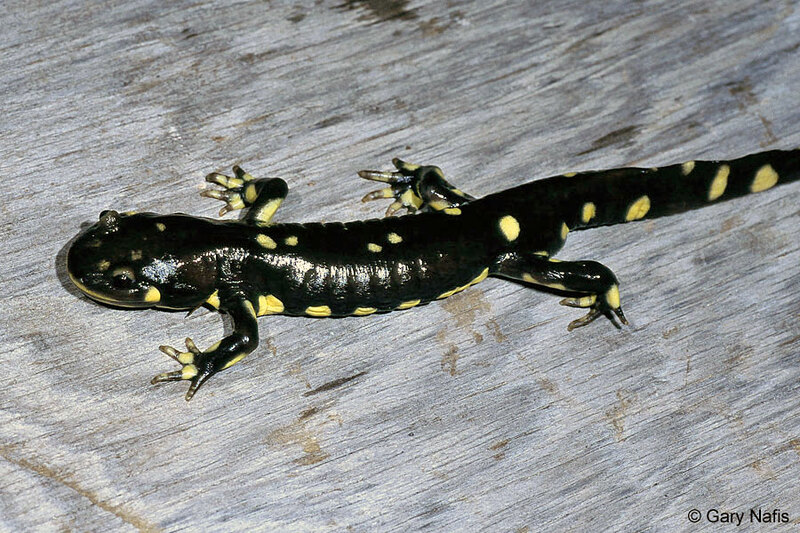 Breeding usually occurs in fish-free ephemeral ponds that form during winter and dry out in summer, but some salamanders may also breed in slow streams and in some semi-permanent waters, including cattle ponds, probably due to the loss of ehpemeral ponds in their habitat. Females lay eggs and attach them to underwater vegetation incuding grass stems, leaves, and twigs, and sometimes to objects such as metal wire. In one study, females contained 413 - 1,340 eggs, averaging 814. Eggs are laid singly or in groups of 2 - 4. Egg color is pale yellow or brownish and about 2 mm in diameter. Eggs hatch in 2 to 4 weeks. The aquatic larval stage lasts about 3 - 6 months. Larvae undergo metamorphosis during the summer, peaking from mid June to mid July. Transformed larvae migrate away from the ponds at night under wet or dry conditions, sheltering in soil cracks and animal burrows. Rare summer rains are known to stimulate large numbers of larvae to leave the ponds, but it is thought that decreasing water levels in the ephemeral ponds also triggers emigration. "Median emergence date can vary by at least 2 months across years and invariably precedes complete pond drying by several weeks ... At least a few metamorphic animals continue to emigrate after the pond has completely dried." (Trenham et al., 2000, cited in Lannoo, 2005). Found in grassland, oak savanna, edges of mixed woodland and lower elevation coniferous forest. The historic range of this species is not well known because it has been fragmented, but they were probably distributed throughout most of the Central Valley where there was suitable vernal pool and grassland habitat, from Tulare County north to at least Yolo County, and in the south coast ranges from San Luis Obispo County north to Monterey Bay and north, east of the Bay Area. Isolated populations now occur in the Sacramento Valley at Gray Lodge National Wildlife Refuge and near Dunnigan. Two other populations have been isolated from the rest of the range long enough that they may constitute two unique species - one in Sonoma County near Santa Rosa, and another in Santa Barbara County. Currently, most populations in the Central Valley have been extirpated, and the remainder are found in the surrounding foothills. Shaffer et al (2004) 5 found six genetically and geographically coherent sets of California Tiger Salamander populations. Four show limited genetic intermixing where they share boundaries. 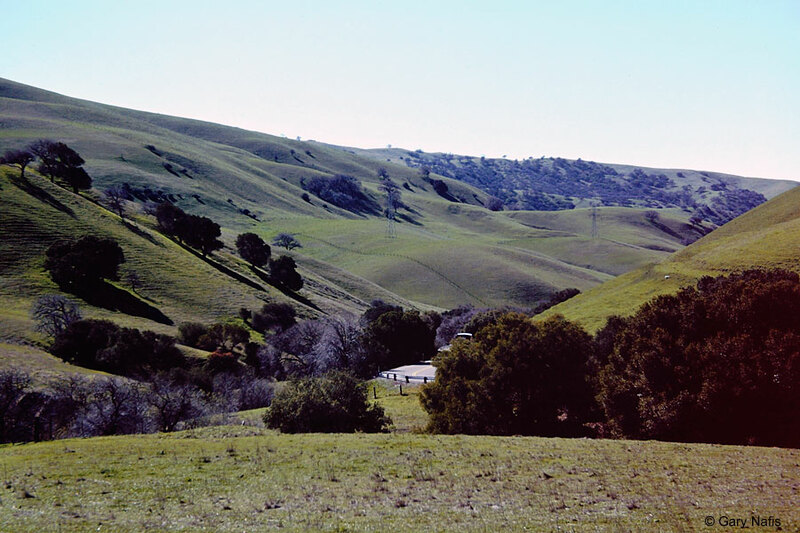 The Sonoma County and Santa Barbara County populations are genetically distinct and have been geographically isolated from other populations for about a million years. Each may constitute a unique species. This species is protected by California State and Federal laws. A threatened species - estimated to have disappeared from more than 50 percent of its historic range. Many populations have been extirpated due to loss of or fragmentation of suitable habitat through urbanization and agriculture. Eradication of California Ground Squirrels due to concerns about their effect on cattle grazing and agriculture may also threaten populations of this salamander because of its reliance on ground squirrel burrows. Predation by non-native Bullfrogs also appears to be a threat. 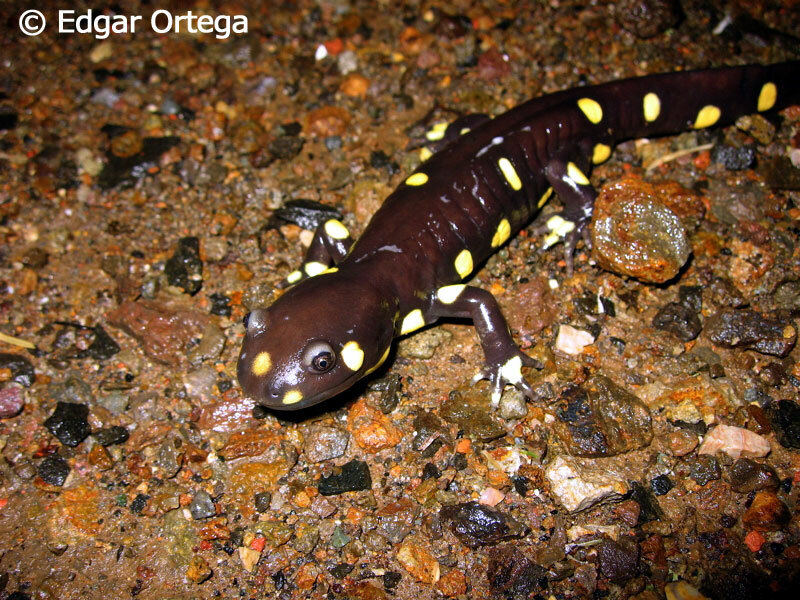 Hybridization with non-native Tiger Salamanders also threatens the continuity of this species. 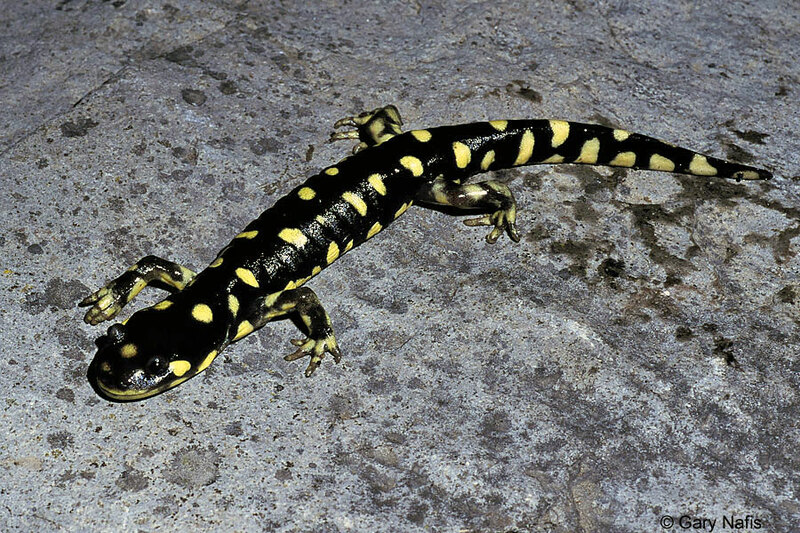 A 2007 study1 found that when California Tiger Salamanders hybridize with non-native Tiger Salamanders, more of the hybrid offspring survived in the wild than did the young of the non-native Tiger Salamanders or the native California Tiger Salamanders. A 2009 study2 found that tiger salamander hybridization might even pose a threat to other threatened pond-breeding species. Gray, 1853 - Proc. Zool. Soc. London, Vol. 21, p. 11, pl. californiense: belonging to the state of California. 1 Benjamin M. Fitzpatrick and H. Bradley Shaffer. 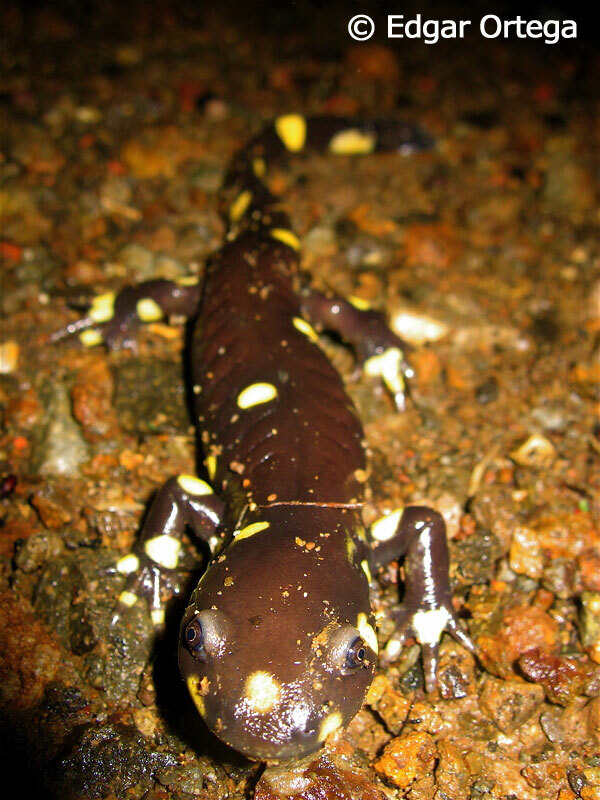 Hybrid vigor between native and introduced salamanders raises new challenges for conservation. Proceedings of the National Academy of Sciences, October 2, 2007 vol. 104 no. 40 15793–15798. 2 Maureen E. Ryana, Jarrett R. Johnson, and Benjamin M. Fitzpatrick. 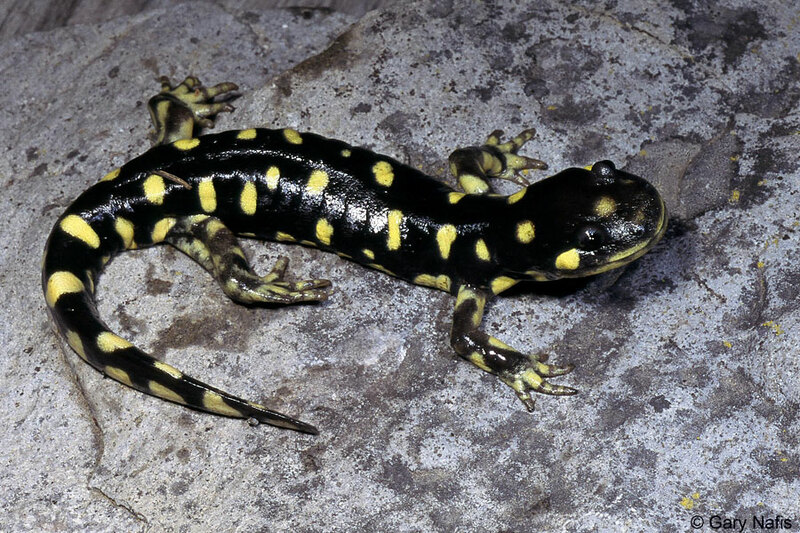 Invasive hybrid tiger salamander genotypes impact native amphibians. pnas July 7,2009 vol. 106 no. 27 11169. Report to the Fish and Game Commission - A Status Review of the California Tiger Salamander (Ambystoma californiense) January 11, 2010. 4 Shaffer, H.B., R.N. Fisher, and S.E. Stanley. 1993. Status Report: The California tiger salamander (Ambystoma californiense). Final report to California Department of Fish and Game, Inland Fisheries Division, Contract #FG9422 and FG1393. These listings apply to the species as a whole except for the ESA which splits the species into three populations. Central Valley DPS federally listed as Threatened 9/3/04. Santa Barbara county DPS federally listed as Endangered 9/15/00. Sonoma county DPS federally listed as Endangered 3/19/03.